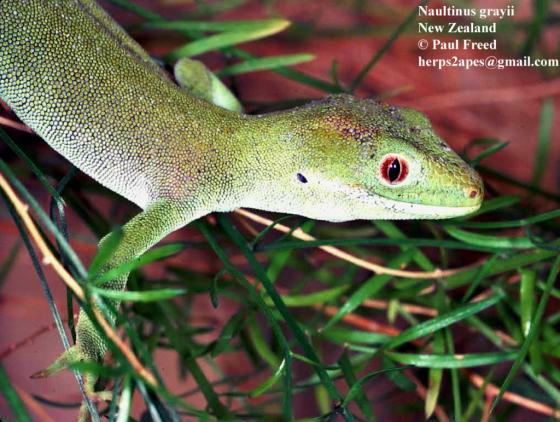 Can you confirm these amateur observations of Naultinus grayii? 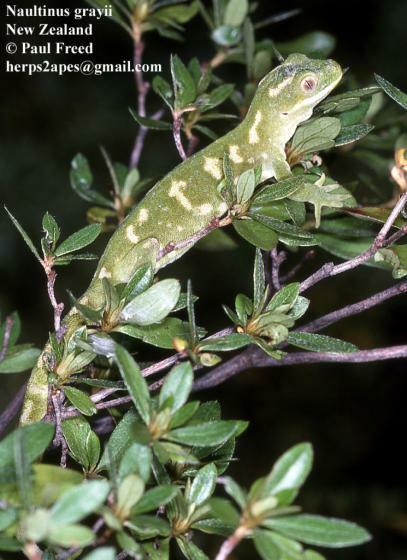 Type locality: Bay of Islands, New Zealand. Comment Synonymy: Naultinus grayii has been synonymized with N. elegans by CHRAPLIWY et al. 1961. Etymology Named after British zoologist John Edward Gray (1800 – 1875), Keeper of Zoology at the British Museum in London from 1840 until 1874, although he started working at the museum in 1824. Robb,J. 1980. New Zealand Amphibians and Reptiles in Colour. Collins, Auckland, 128 pp.